Nestled in a quaint part of the Palakkad district, Kairali comes across as a nature haven for those seeking a holistic wellness experience combining both spiritual and physical well being. 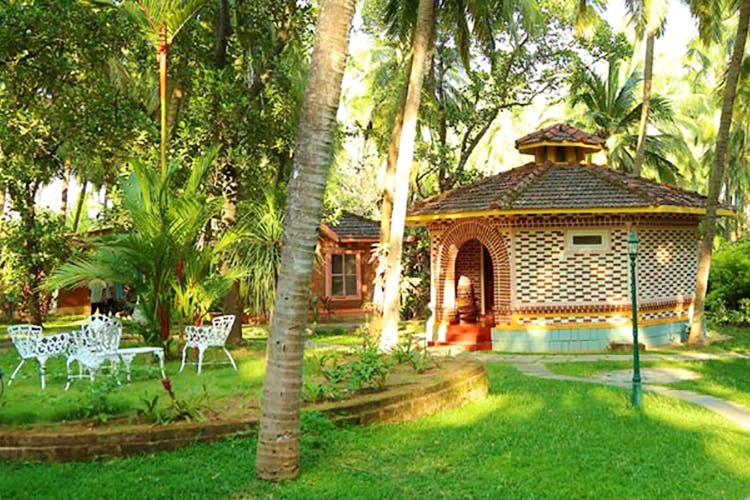 Kairali – The Ayurvedic Healing Village is retreat in Kerala perfect to get away from the fast-paced city life and reset your clocks. If you’re interested in holistic healing, then they have plenty on offer for you. But if you want to just relax and chill out, then that’s fine too! Highly recommend for everyone who is looking for a little break to detox and reboot their lifestyle. Go with your friends, family, partner or even solo! A short two night, three day stay introduced me to a healthier way of living at this residential retreat. From morning yoga classes and specialised Ayurveda treatments to a fully functional swimming pool and tennis court, guests here have a range of activities to suit their needs. And, if you are want an extra dose of the quiet, you can opt for a short walking tour of the curated Ayurveda herb garden. However, the treatments and food, both inspired by Ayurveda take the prize, for being the highlight of the entire experience. The Sadhya, a typical Kerala thali which is served once a week, that includes local dishes served on a banana leaf-true to authentic Malabar experience. And, its freshly prepared form scratch by their in-house chef. If you do visit Palakkad, take a quick trip to the village to pack some banana and jackfruit chips for your journey back home!